The earliest work in environmental psychology in the Department reflected Terence Lee’s interests in urban planning. This came about through the research he undertook for his PhD at Cambridge on the concept of neighbourhood following his supervisor, Sir Frederick Bartlett’s interest in schemata. Terence could see from the outset the potential application of psychology to all aspects of the environment, and consequently he attracted to Surrey all the key researchers in the UK who were interested in this area of work, and was instrumental in developing new areas too. In the early years (1970s) there was active research on architecture and housing, forest recreation, museum and heritage education, road planning, and public participation in urban and structure planning, and perceptions and responses to micro-environmental influences such as heating, lighting and noise. The vestiges of these strands of research continued for several decades, some through to the present. From the earliest years of the department, the emphasis has been on applied research addressing some of the most important social and environmental questions of the day. Research in the Department has sought to inform government policy-making from the local to the European levels. It is also a characteristic of the work in environmental psychology to be interdisciplinary. Disciplinary collaboration has been strongest with the architectural, planning and design professions, engineering, geography and environmental sciences, sociology, education and the health sciences. These characteristics were encouraged by Terence and have remained important through to the present day, as will be seen by the type of research undertaken in environmental psychology over the last four decades or more. It was Terence’s interest in risk perception during the 1980s’, in response to societal and government concerns about the siting of nuclear power stations and the disposal of nuclear and chemical waste, that formed the foundation of the department’s research on risk. As a consequence of Terence Lee’s expertise in risk, he was appointed a member of Royal Society Committee on Problems of the Environment, The Royal Society Study Group on Risk Assessment, and the National Radiological Protection Board. He was also a consultant advising both UNESCO and the IAEA on the social and psychological consequences of the Chernobyl nuclear disaster. This interest and expertise in risk has continued through to the present day and has included research on accidents and safety in domestic settings (Peter Wood), risk and hazards in children’s play spaces (David Uzzell), in the countryside from zoonotic diseases (David Uzzell). Some of the most influential work was led by David Canter on people’s behaviour in fires and emergency situations – most notably the Kings Cross underground fire (Canter, 1980; Fennell, 1988), and the Inquiry into crowd safety and control at sports grounds (Canter, Comber, & Uzzell, 1989; Popplewell, 1986), and the development of safety cultures in industry. David Canter and Ian Donald left Surrey in the 1990s and both went on to be Professors of Psychology and Heads of the Department of Psychology at the University of Liverpool, where they are now both Emeritus Professors. Mention should also be made of Jonathan Sime, a PhD student, supervised by David Canter, a research fellow and subsequent Associate Lecturer in the Department who was also a notable researcher in the area of behaviour in fires. Jonathan died in 2001, and the annual Jonathan Sime Award, administered from Surrey by Birgitta Gatersleben, is given to the undergraduate dissertation which a significant contribution to the field of people-environment research; this is a national award open to undergraduates in all psychology departments. It was Terence’s appointment of David Canter that enabled environmental psychology to expand to have both an international teaching and research significance. David Canter’s early research, sat under the term Architectural Psychology. Not long before joining Surrey as one of Terence’s first appointment he had carried out his PhD on the psychological consequences of open-plan office design. He went on to undertake an evaluation of the Royal Hospital for Sick Children in Yorkhill, Glasgow (Architect’s Journal 1968). This coincided with his first lectureship appointment as a rare psychologist in a School of Architecture (the Building Performance Research Unit, University of Strathclyde). Between 1969 – 71 he moved to Tokyo University on a Leverhulme Research Fellowship. From there he came to Guildford in 1971. His background in the application of psychology to architecture perhaps inevitably led to him concentrating on research on hospitals, offices, schools, prisons, housing and other building forms. A major study of prison buildings for the Home Office included an unusual survey of prisoners’ satisfaction with their prison’s built environment. Some decades later this work was the basis of his expert evidence in cases brought under EU Human Rights legislation by prisoners who claimed they had suffered cruel and unusual punishment in prison. David’s applied orientation to research that reached out to ordinary people in their daily lives, rather than students or mental patients as was so common at the time especially in North American research, encouraged David to seek funding from less obvious sources, such as the Alliance Building Society to support a series of studies into why and how people bought the houses they did and how they used the space inside their homes. This was the basis of Jennifer Brown’s PhD. David also developed a widely cited ‘theory of place’ (Canter, 1977) that provided a framework for considering how people relate to and make sense of their physical environment. In 1980, whilst on sabbatical at Berkley, California, he established the Journal of Environmental Psychology, which is now arguably the leading academic journal in the area. David built a formidable group of researchers to pursue people-environment studies. A number of whom are now senior members of universities and consultancies around the world. His interest in developing analytic tools of value in non-experimental contexts led him to meet Louis Guttman, when they were both on fellowships in Japan in 1970. This encouraged his interest in non-metric, multi-dimensional statistical scaling techniques. This resulted in an invitation to Louis Guttman, to present a series of lectures and workshop for students in Facet Theory and multi-dimensional scaling which was to become a signature feature of Surrey’s analytical approach to data analysis. Sean Hammond continued this tradition in later years by introducing Correspondence Analysis. 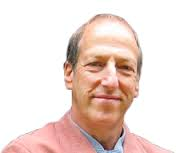 The expertise in environmental psychology led David Canter to establish the first MSc in Environmental Psychology in the world at Surrey in 1973, one of only two specialist postgraduate programmes – the other being the Doctoral Program at City University New York (CUNY). It remains the only such Masters’ course in the UK and still one of very few internationally. Over the 45 years of the course’s history approximately 400 students from over 30 countries, and from many different disciplines – as varied as interior design, landscape architecture, health sciences, geography, the law and of course psychology, have been welcomed onto and have successfully graduated from the course. The MSc course has produced a number of graduates who went on to do PhDs and/or work as professional environmental psychologists, e.g., Clare Twigger-Ross (Environment Agency and Collingwood Environmental Planning Limited, Linda Groat University of Michigan), Dan Iacofano (MIG and Berkeley) to name just a few. Other early members of the environmental psychology ‘team’ were Peter Stringer (died 2001), Ian Griffiths (died, 1996) and Stephen Tagg – one of David Canter’s first PhD students at Strathclyde University (who recently retired as Reader in Marketing at the University of Strathclyde, and one of Chris Fife-Schaw’s lecturers when he was at Strathclyde). Peter Stringer, who had read for a degree in Classics at Oxford, came from the Bartlett School of Architecture at UCL. He was particularly interested in the application of social psychological perspectives to environmental psychology issues and was involved in a major study to advise the Government on the most effective methods to encourage public participation in planning. 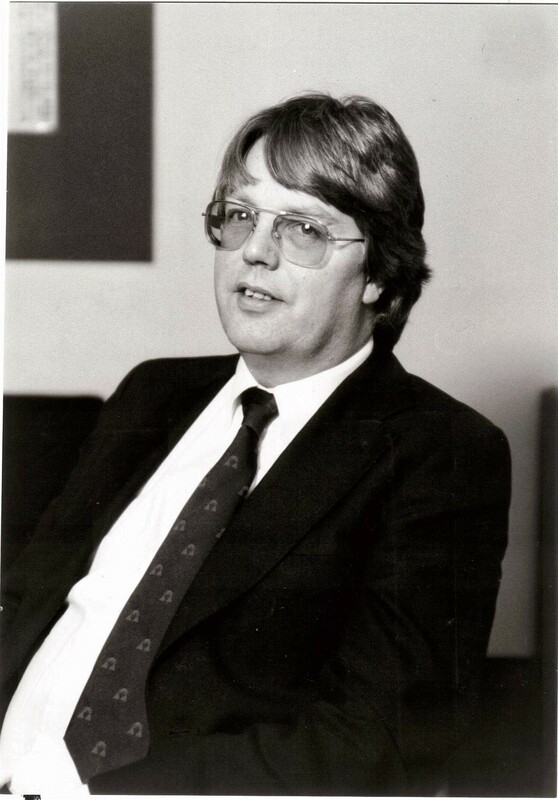 Peter eventually left the Department to become Professor and Head of the Department of Social Psychology at the University of Nijmegen in the Netherlands, an appointment he was particularly pleased to tell people that required the approval of Queen Beatrix of the Netherlands. Peter’s PhD students included a number of social and environmental psychologist who went on to become well-known names in the field, including, now Professors Jonathan Potter, Fathali Moghaddam and Sue Wilkinson. Ian Griffiths had read Psychology as an undergraduate with David Canter in Liverpool and had previously worked with John Langdon at the Government’s Building Research Establishment (BRE) and WS Atkins. He was one of the first psychologists to work on projects related to environmental policy and brought his invaluable experience of the application of psychology in the commercial world. It is perhaps noteworthy that two Universities in particular have strong links with Surrey staff: Strathclyde where Glynis Breakwell, David Canter, Harry McGurk, Stephen Tagg, and Chris Fife-Schaw all studied, and where David Uzzell was for a time Visiting Professor in the Department of Architecture. The second is Liverpool University (David Canter; Sandra Canter, Ian Griffiths; David Uzzell were all alumni). 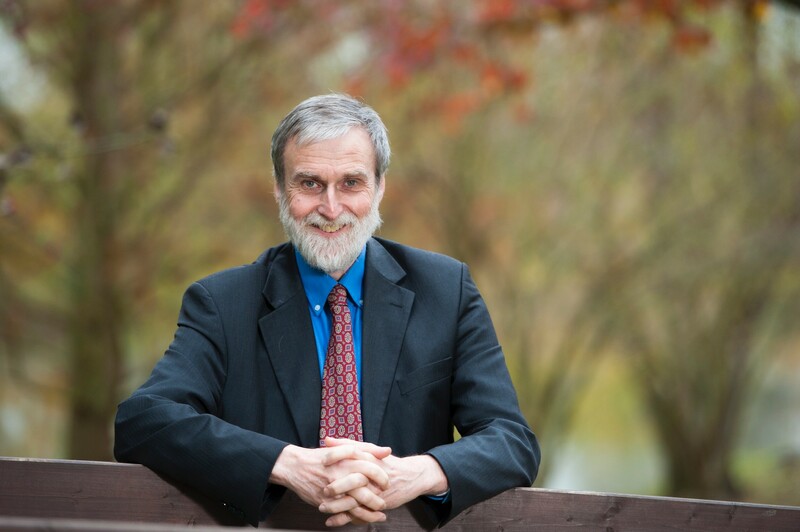 The longest serving member of the Department, David Uzzell came to Surrey in 1974 having graduated in Geography from Liverpool. He worked with Peter Stringer and then Terence Lee in the late 1970s and 80s in the area of public participation in urban and road planning, and environmental risk. In the late 1980s he also worked briefly with David Canter undertaking research for the Popplewell Inquiry into safety at sports grounds. A Watford FC supporter all his life and years of experience of standing on the terraces brought particular ‘ethnographic’ insights into the project! Through the 1980s, David also undertook research on heritage interpretation including the evaluation of visitor learning in museums and interpretive centres. He developed the concept ‘hot interpretation’, based on Abelson’s concept of ‘hot cognitions’, in which he argued that the interpreted past should be understood not just as a cognitive engagement, but an emotional as well. These ideas influenced the design of museum exhibits and thinking around the world. This work, along with his writings on collective memory and the effects of time has led to a long-term research and teaching relationship with the Department of Archaeology at the University of Cambridge. In 1990, at the invitation of the then Chair of the ESRC, Professor Howard Newby, David Uzzell gave the first paper by a psychologist in the UK on behaviour change and the public understanding of climate change. This was the beginning of the Department’s 25-year history of working on the psychology of climate change, and sustainable consumption and production. The particular contribution and perspective taken by David Uzzell was recognised in 2008 by an invitation to represent the American Psychological Association at the United Nations in New York at the Annual Psychology Day. In 2010, he was invited to give the Joint British Academy/British Psychological Society Annual Lecture. David has always been interested in the role of participation and social action by groups and collectives in influencing governments and industry, as well as in transforming themselves. With his colleague, Professor Nora Räthzel at the University of Umeå, he has been responsible for bringing together academics working in various disciplines in countries across the Global North and South to investigate, under the heading of environmental labour studies, how organised labour and the trade union movement are contributing to the international debate and action on climate change (Räthzel & Uzzell, 2013). The work on sustainable development was enhanced hugely with the arrival of Birgitta Gatersleben from the University of Grongingen in 1998. 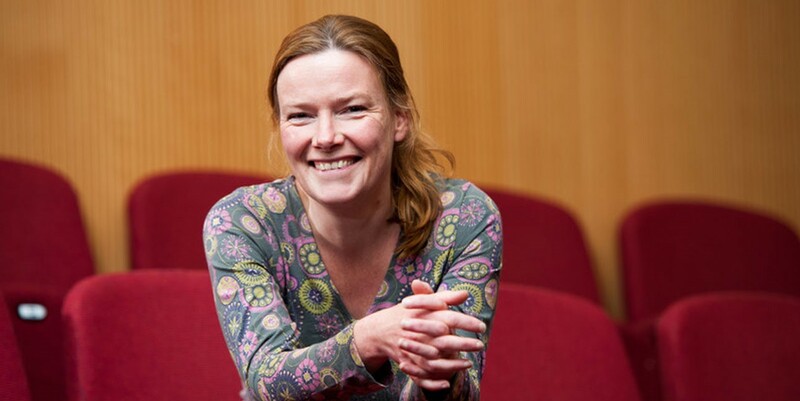 Birgitta came to Surrey as one of the first Surrey Scholars, a new Post-Doc position funded through a scheme initiated by the then Vice-Chancellor, Professor Patrick Dowling. Birgitta is now a Reader, and Head of the Social and Environmental Section in the School. In addition to work on sustainable consumption, transport and energy use, she has made an important contribution to research on environmental restoration and the therapeutic value of nature and outdoor environments for health and well-being. Within the last year, the environmental psychology ‘team’ has been strengthened with the arrival of Kayleigh Wyles as a lecturer, from the University of Plymouth where she has been researching psychological factors in relation to threats facing the marine environment (e.g. microplastics, marine litter, and overfishing), and people’s use and experience of this natural setting. Dr. Chris Jones recently joined the School from the University of Sheffield, where he brings his interests and expertise in assessing attitudes and behaviour towards established and emerging supply and demand side energy technologies options (e.g. nuclear power, wind power, carbon dioxide storage and utilisation, smart metering), and assessing the factors that facilitate and inhibit action on environmental issues and the promotion of more sustainable lifestyles. Canter, D. V. (1977). The psychology of place. New York: St. Martin’s Press. Canter, D. V. (1980). Fires and human behaviour. John Wiley & Sons. Canter, D. V., Comber, M., & Uzzell, D. L. (1989). Football in its place: an environmental psychology of football grounds. London: Routledge. Fennell, D. (1988). Investigation into the King’s Cross Underground fire: presented to Parliament by the Secretary of State for Transport by command of Her Majesty, November 1988. London: H.M.S.O. Popplewell, O. (1986). Committee of inquiry into crowd safety and control at sports grounds: Final report. HM Stationery Office.